Two full time spaces: Thursday and Fridays. One additional space: will update this day soon. Before/after school and half term care available now, please message me for further information. 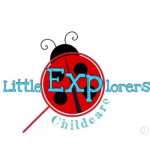 I am a fun, friendly childminder, my ethos is ‘into the community’ as the children and I love to be out and about as well as in my setting in Bitterne Park. I provide stimulating activities to help develop the individual child's learning and development in line with the early years foundation stage both indoors and out, learning through play. I am extremely fortunate as I work from my own home, where I have transformed the whole of my downstairs and some of my upstairs to provide childcare for all ages ranging from birth-14years. Offering contracted and ADHOC sessions also providing; babysitting, nannying and night nannying aimed to suit each parent/carers requirements. Previously I was a pre school manager at a local nursery which I loved, I decided to leave the nursery and begin childminding as I wanted a bit more freedom with regards to being able to provide activities both in the setting and out. One of the perks of having a childminder/nanny is having the opportunity to attend groups and classes as well as visiting parks, library's, farms and zoos amongst many more. Having a nursery practitioners knowledge and background plus gaining as a childminder more freedom and flexibility works in tandem, which I believe has given me individuality within the childcare field. OFSTED registered childminder since November 2011, previously I managed a local pre school for 3 years. I have experience in caring and providing education for children aged from birth to 16years and have had training in additional needs amongst many more. School drops off and collections, full and half days sessions, day care, school holiday care, babysitting and overnight care. I currently have Before school care and and drop off to Ludlow school, Monday and Tuesday after school care and pick up from Bitterne Park school and St Monica school. Furthermore, I have; half term, weekend and evening care availability. From August 2019 I have: Mondays-Fridays all day and half days available as well as my babysitting service in the evenings and weekends. Also I have school picks up and drop off sessions too to other schools. I except work vouchers (tax free childcare), tax credits and provide free nursery education for all three and four year olds and eligible two year olds. I also am a network childminder and am part of the childminding frame work, working with sure start settings. Babysitting weekends and or evenings. Thank you for taking your time to read my profile and I shall look forward to hearing from you. Below are the latest reviews for Marcelle. Please note that reviews represent the subjective opinions of other Childcare.co.uk users and not of Childcare.co.uk. Parents must carry out their own checks and references on childcare providers to ensure that they are completely happy before enaging in the use of their services. I can’t recommend Marcelle enough. From the moment my daughter spent the day with Marcelle she’s loved every minute and doesn’t want to leave. Her ethos is fantastic with the children especially as they get to spend time outdoors. Marcelle is caring, fun and professional at all times and it’s great to have peace of mind leaving my daughter with someone I trust. We will be enrolling our second child with Marcelle when I return back to work from maternity leave. Marcelle is a fantastic childminder who I highly recommend. Her philosophy to outdoor play and exploring is helping my son develop and grow in confidence. My son absolutely loves being in the setting and runs in smiling at drop offs. Marcelle is great at communicating and we receive regular updates in the day, telling us how he is getting on. I am so pleased we chose Marcelle and highly recommend her services. Child centred, nuturing and fun! Marcelle has been incredible. Like many mothers, I had a lot of anxiety about returning to work, and I wanted to find a child minder who would be able to offer a caring and stimulating environment for my daughter, as well as make the effort to learn her specific needs and form a real relationship with her. Marcelle has done all of this and so much more. I can't tell you what a difference this has made to our family and my daughter who completely adores her. I recommend with enthusiasm. Marcelle has pretty much saved me and my son! I was desperate after moving to Southampton and couldn't find anyone suitable or available for my son and she was recommended to me. She doesn't charge crazy amounts of money and is very flexible. Marcelle also is very good communicating so it doesn't take long for her to respond if you need to speak to her. She is reliable, well educated and very kind. I can't recommend her enough! she also works with 2 amazing assistants who are fantastic and really love children! The house is always clean and also very big. I hope I'll have Marcelle and the girls' help for a long time to come as my son loves going there.